…Sounds too good to be true, right? But who can pass up a deal like that? A much-coveted, luxury service available at a workin’ gal’s price? Sold. And, I’m not here to poo poo every smoking hot deal out there–even I pass on a (dare I say) coupon to my clients sometimes. 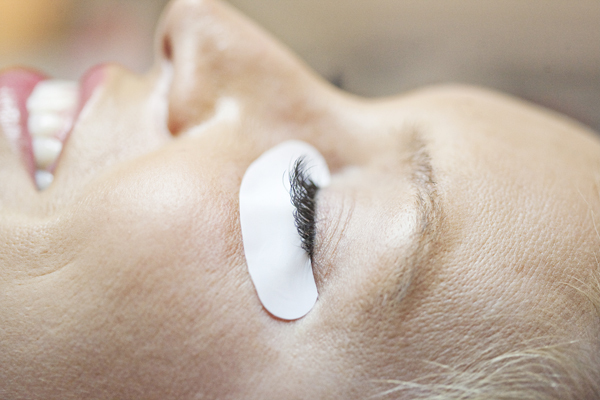 But if you find yourself toying with the idea of paying less than $100 bucks for real honest-to-goodness lash extensions then you may need to do a little more research. Ask questions. Ask to see a portfolio. Where did this stylist get trained? 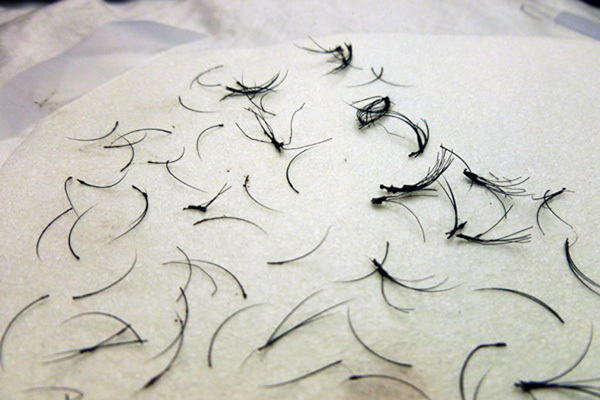 I have seen my share of $50 lash extensions victims and it really breaks my heart. Really. Perfectly smart, wonderful people make this mistake. Don’t be that victim. Here’s how to tell if you’re doing the right thing. 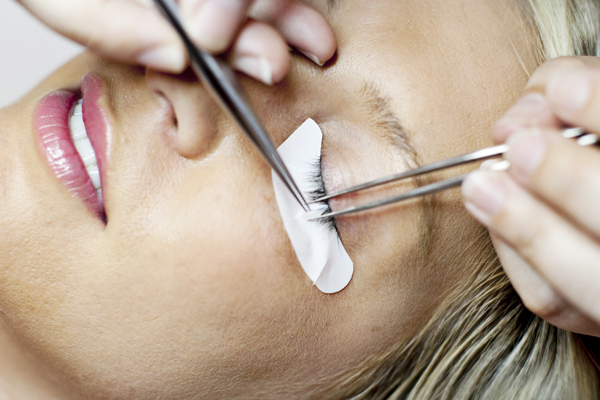 be individually separate–each and every lash! 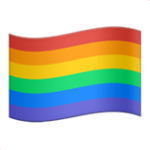 If this is you… or someone you know–fear not! With a little TLC and proper remover they can be removed. It’s not always pleasant and it’s not always fast (the client in these pictures took a full hour for removal! ), but it’s absolutely the best method. Don’t try and pull, cut or use baby oil. See how overly dense the base of the lashes look? There are too many lashes being clumped together…You can see her tiny little natural lashes trying to hold up the weight of the world. 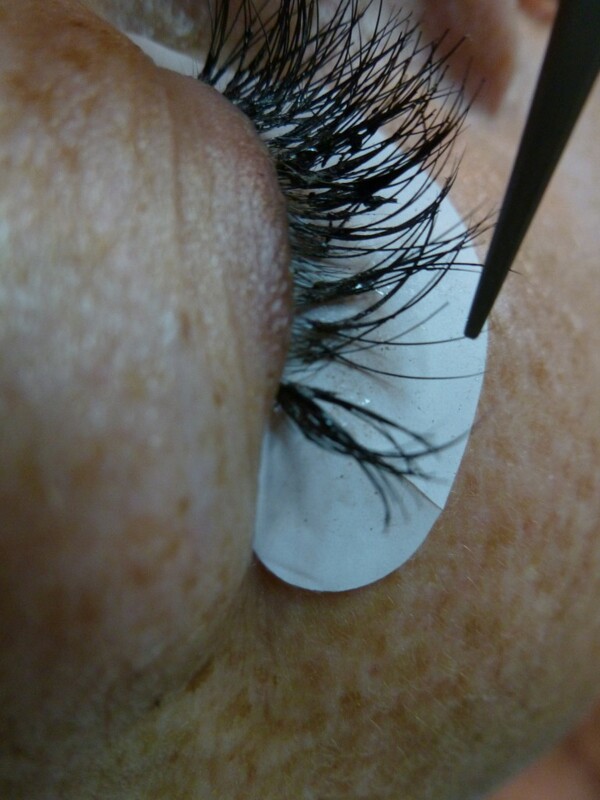 Putting on the thickest, longest lashes available on anyone who requests it is irresponsible! There are limits, ladies. 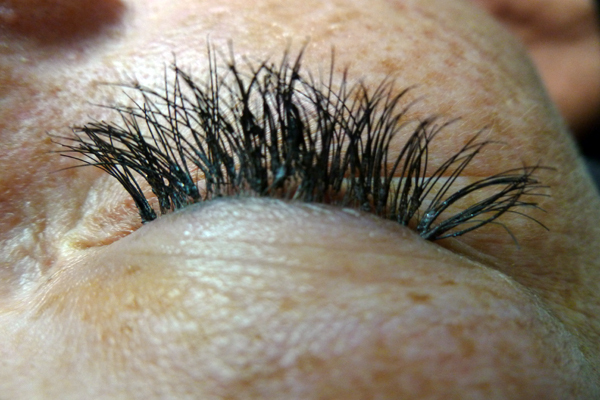 Notice the clumps of natural lashes that are tangled into the extensions that were removed? Bad. 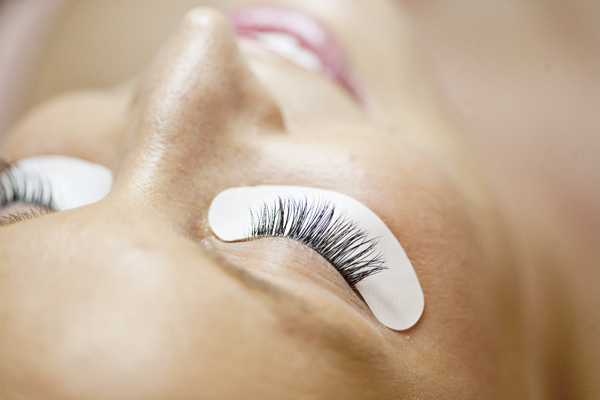 Smiling, comfortable, relaxed, gorgeous happy Mrs. O lash client? Good. *All photos property of Raney O’Keefe, Inc.